This hotel's location is just unbeatable. Super convenient and right next to all tourist spots. It's clean and staff were very friendly, knowledgeable and helpful. Recommend it to Brussels visitors. Hotel staff were friendly and gave great recommendations. Don't forget to try the restaurant at the lobby - Ristorante Bocconi. Delizioso! We really enjoyed our stay. The hotel, though a really old building, was very comfortable. The room and toilet were very clean. The place is very well maintained. The staffs were also very helpful with us. We'll definitely stay here again in our next visit to Brussels. Excellent stay. Room a bit smaller, close to main city attraction areas. I booked for 3 rooms for my family. 2 of the rooms are abit cold as the heater doesnt work properly (got fix for one but the other room for my kids are really cold). The toilet sink and bath tub were not working properly (sinks are abit stuck). Overall the experianced was ok. The plus is that the hotel was so close to the attraction area, food is excellent and staff are friendly. Location, charming staff, nice room. An excellent three day break for Christmas markets. Ideal location just off Grand Place. Concierge knew his stuff and very helpful. All staff polite and welcoming. Room comfortable and quiet. Only problem was smell from waste pipe in bathroom but staff dealt with that on second time of asking. Would definitely stay again if price was right. 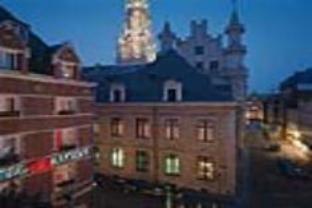 The hotel is fantastic and it is very near to the grand place. We stayed there on xmas eve and we received welcome chocolate from the hotel. Surprise..
Next to Grand Palace and very convenient to get souveniers. Very short stay and missed a lot of interesting places. I chose this hotel due to its high rating on a number of websites. I arrived very early in the morning & was warmly greeted & thankfully given an early check in to my room. The room was very well equipped & comfortable. My only gripe would be the lack of free internet & the excessive charge for hourly & daily use. Overall I was satisfied with my stay although as a seasoned traveler I didn’t believe this hotel to be good value. the hotel is nice, the room is clean and good. the location is in central, just 1 minute walk.